CopperGat Cables Private Limited was the winner of AmerAdnan Associates’ first lucky draw at 12th CEO Summit Asia 2016. The winner was announced through lucky draw held on Thursday, May 26, 2016 at Pearl Continental Hotel, Lahore, Pakistan. The winner will get free design services worth 200,000 Rs. from AmerAdnan Associates (AAA). On this occasion, Amer Adnan, CEO AAA, congratulated and presented the winner’s certificate to Mian Safdar Hussain, the President and CEO of CopperGat. Dignitaries like Dr. Mirza Ikhtiar Baig (Chairman, Baig Group), Sohail Ahmed Matin (CEO & GM, GlaxoSmithKline Consumer Healthcare), Amir Niazi (CEO, Descon Oxychem & Descon Chemicals Ltd.), M. Azam Cheema (CEO, Sayban Group) and Ijaz Nisar (Founder & President, Manager Today & CEO Club) were also present on the occasion. AmerAdnan Associates is a multidisciplinary design and architecture company based in Lahore, Pakistan that is established and led by Mr Amer Adnan. The exceptional design and construction style of the firm has allowed it to make its mark in short span. Since its foundation till this day, the design boutique has turned several dream projects (commercial & residential) into reality. 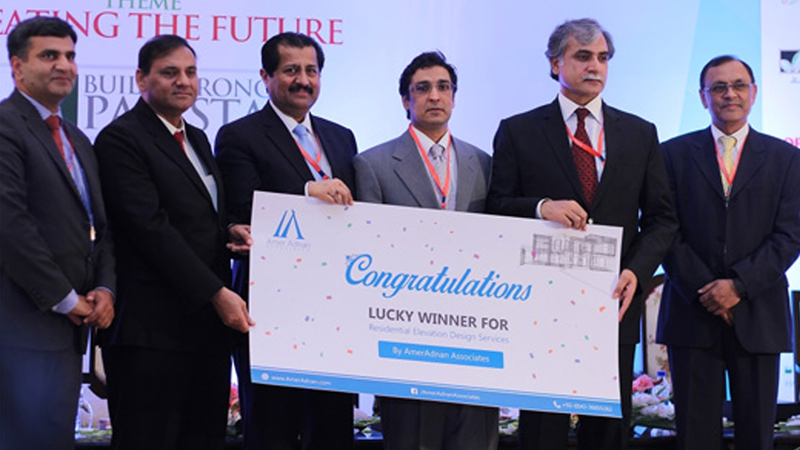 The researched based company has also won the 2015 Asia Pacific Property Award for its superior interior design work in Royaute Luxury Suites & Hotel at M.M Alam Road, Lahore. Leave Us a Message on Our Facebook Page.